Donna Lovely is a Denver-based artist known for her expressionistic and flowing style. Her work prominently features themes of concealed battle and the undercurrent of energy juxtaposed with tranquility. Her exhibitions include fantastical allusions to the concept of struggle for existence, with a particular focus on the dichotomy between nature’s peaceful appearance and simultaneous ferocity. Lovely primarily works in watercolor and sumi-e ink. These mediums not only capture her flowing style, but also embody the themes of her work – the behavior of water is unpredictable; it can be anticipated and leveraged, but not controlled or dominated. Working in her studio, she undertakes intense periods of study that last from weeks to months, experimenting with a new medium, painting one particular subject, or developing an innovative technique. 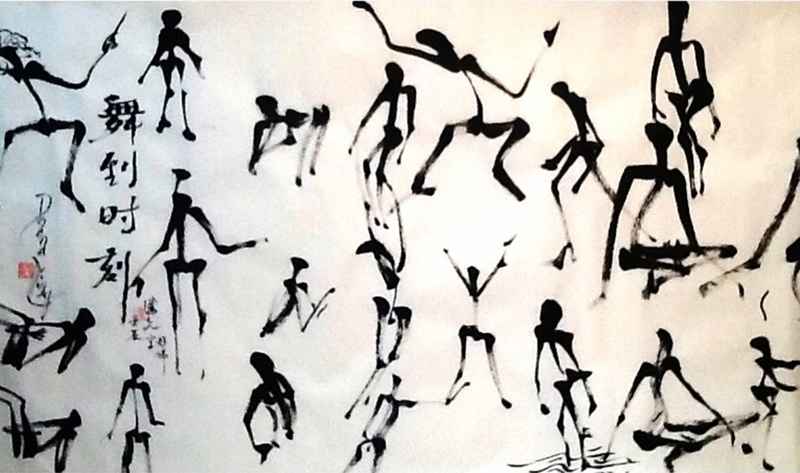 She also studies Chinese brush painting under Shanghai-born artist and master calligrapher, Yunn Pann. Outside of the studio, Lovely paints en plein air in a variety of locations, particularly, Colorado, New Mexico, California, Massachusetts, and China. Lovely’s paintings are held in numerous private collections and have been widely exhibited in both solo and group exhibitions at innovative commercial galleries, artist-run spaces, and non-profit institutions.